There are a number of beauty subscription boxes in the market. While I am not a fan of regular beauty subscription boxes. This one really caught my attention. 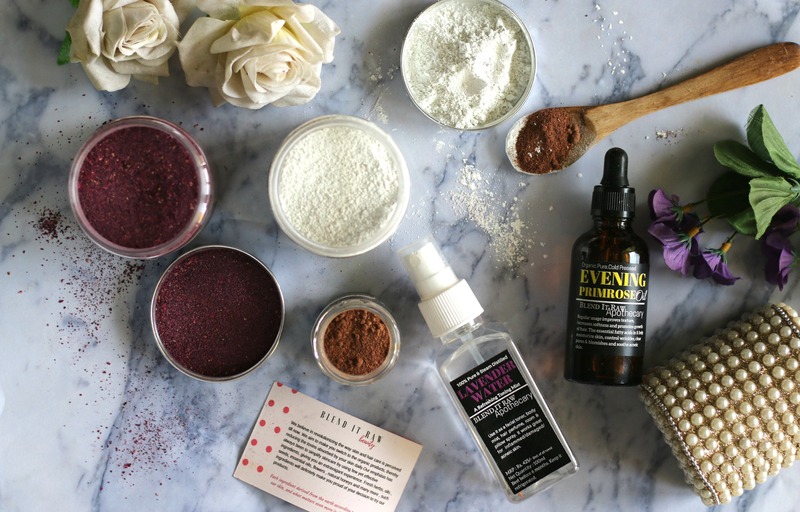 Especially, the concept of a DIY beauty box that deliver organic, pure & natural skin and hair care ingredients from all across the world every month to aid you in the making of your own face mask or hair pack/mask. I got sent this box a month ago and today I am sharing my experience of using each of the items that I received. The subscription boxes come with free shipping. Boxes will be shipped out on 15th of every month. I really love how well the items were packed. Every product was securely packed, bubble wrapped and carefully packed to ensure all items are safe. Great packaging and delivery of the products on time! 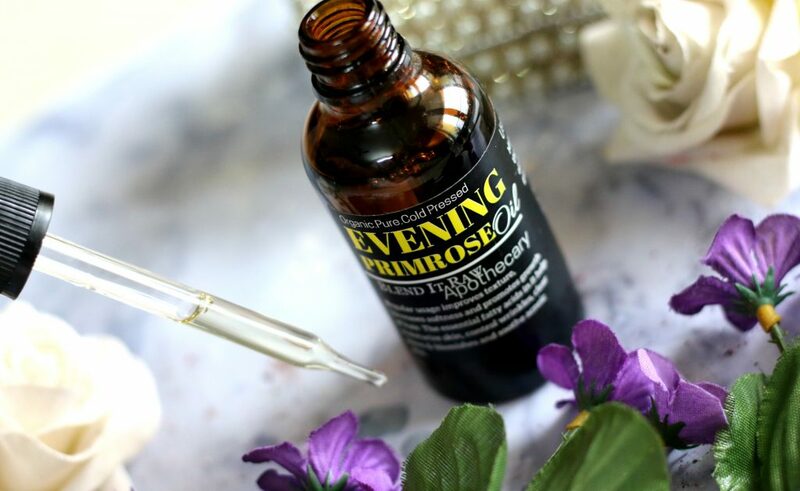 Evening Primrose Oil – 575 INR for 50 ml ; extracted from evening primrose seeds & is very gentle and can be used as moisturizer to hydrate dry areas of ur face.. It also boosts blood circulation which is helpful to treat tired skin and eyes. 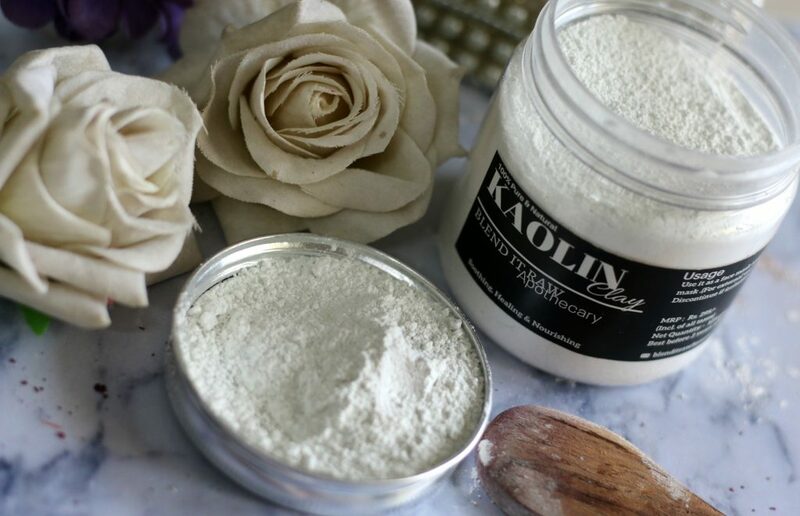 Kaolin Clay – 295 INR for 125 gm ; light & super fine cosmetic clay . 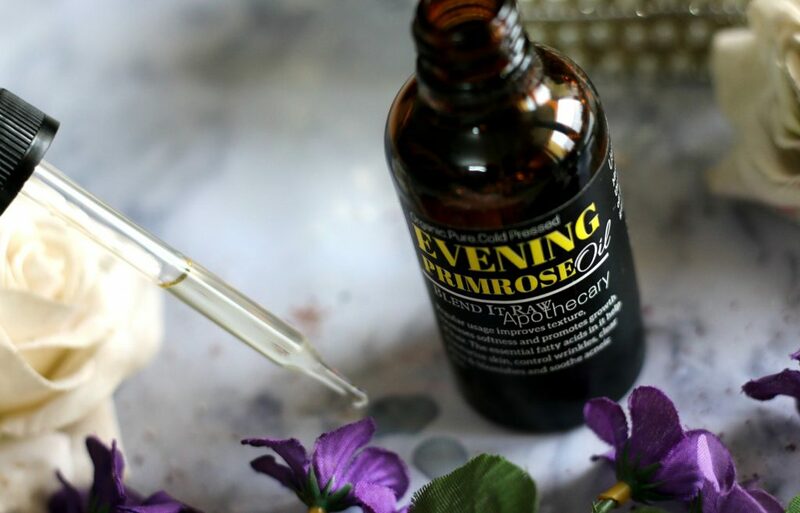 When applied to the skin it purifies pores , detoxes & cleanses skin , soothes sensitive skin , treats acne and exfoliates dead skin cells. ???? Ever since I posted the first impressions on my instagram as instastories etc, a lot of your girls requested me to review them. I actually delayed a little bit because I wanted to take my time, see how it helps my skin etc. This year, I have been focusing a lot on my skincare. Especially I am in my late twenties and I think this is the right time for starting a weekly or monthly skin cleaning #MultiMasking detox. Well, this box arrived at the right time. What appealed to me most was the organically sourced ingredients and also the essential & carrier oils. I am a super busy girl, My day starts around at 6:00 in the morning and I have a very very hectic work schedule. When I wrap up my work for the day, It would be midnight most of the days. 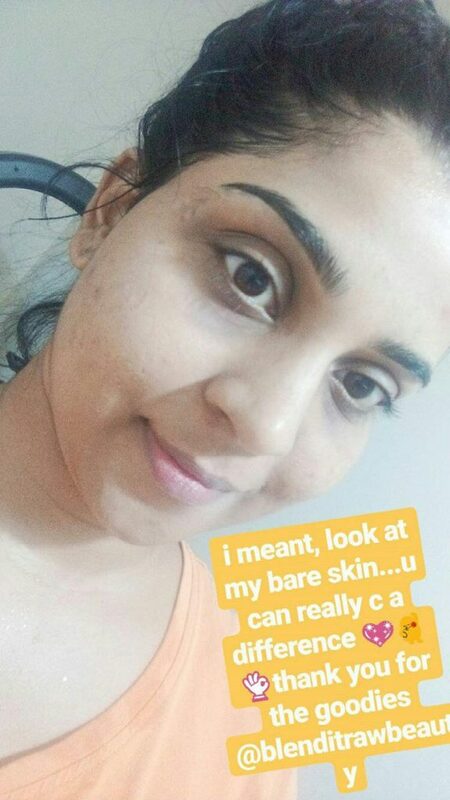 Though I love to apply DIY face masks or any other sort of natural skin pampering. Lack of products or readily available ingredients and having to source freshly cut, pure organic ingredients (Where to go find organic ingredients when you stay not at your home town, in some flat in some city and most fo the time travelling ). 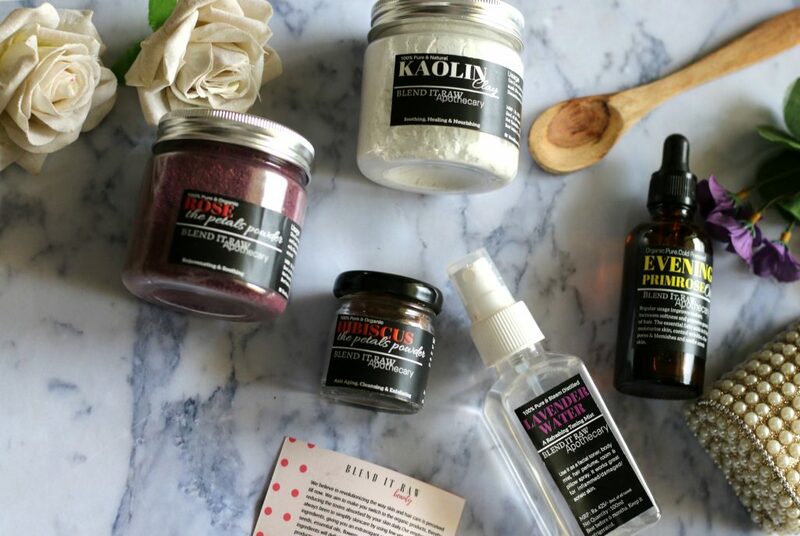 This DIY subscription box wouldn’t have got me too excited if this wasn’t about organic and natural ingredients. Blend it Raw beauty team did an awesome job by introducing such a unique concept that helps many of the busy or lazy bees out here! 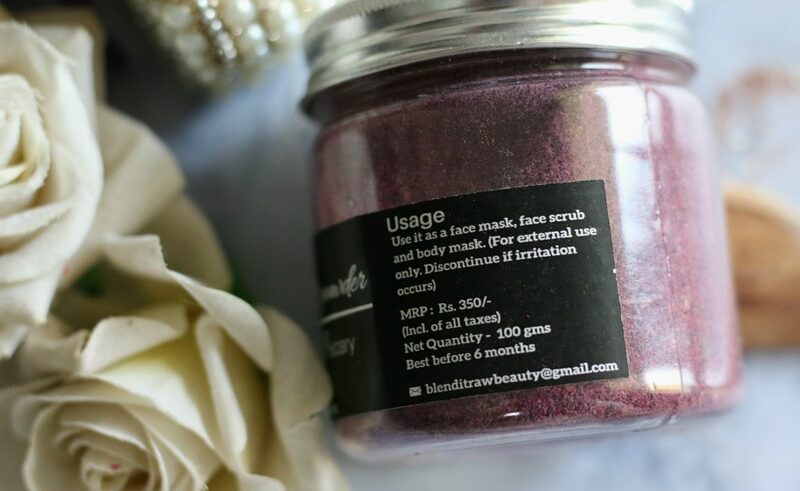 Instead of buying products individually online, For INR 1199, you get raw skincare ingredients that you can mix and make use of in multiple ways to make your own #perfectFaceMask or #HairMask at the fraction of a price. Key is mix and match and try out on your skin! 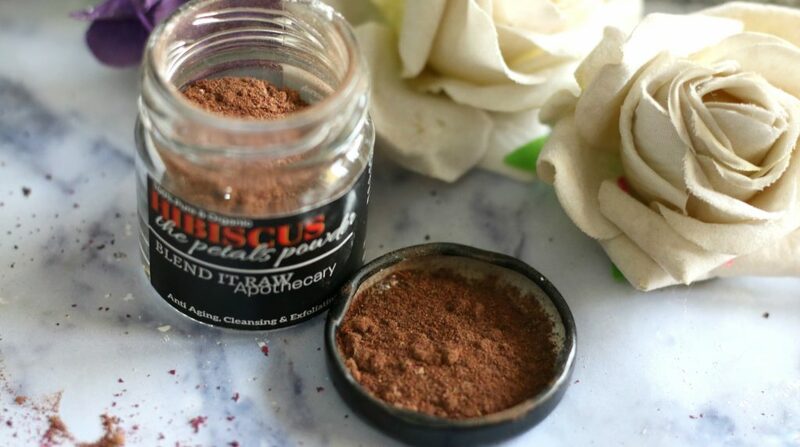 Before moving in detail about how I choose to use the products – let me tell you who is behind this wonderful idea – The creator is Aarushi of Glitter Naturally Beauty Blog – Hats off to you dear!! 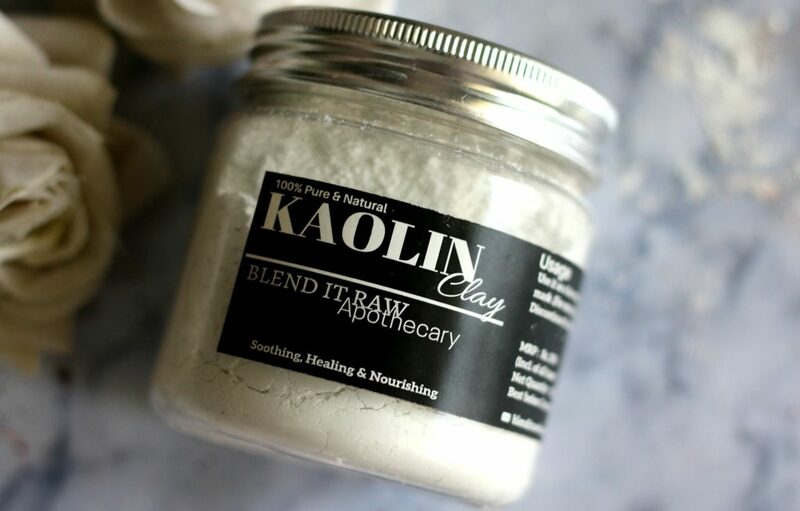 Kaolin clay purifies the pores & detoxes skin. I use this as a facial cleanser. It really softens my skin. 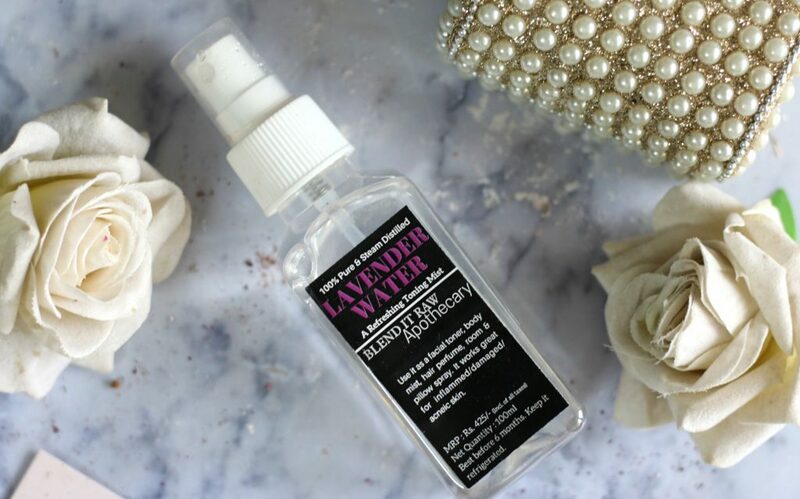 I have a super sensitive skin and this never irritated my skin. Mix all ingredients together and and store it a glass canister in a dry area. Don’t just leave it on your bathroom. I mean- moist area is not so good for storing organic items that doesn’t contain preservatives. 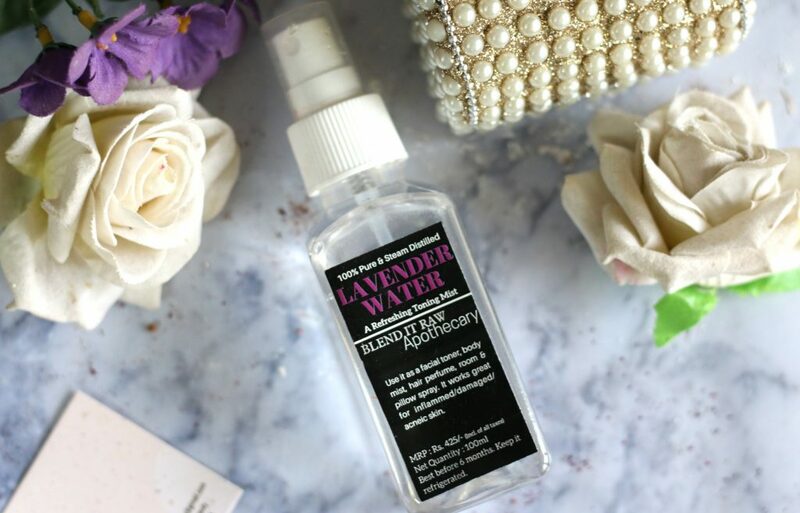 How to use – Mix this cleanser with Lavender Water to make it a paste and apply it as a facial scrub on wet face. Massage for about 1 minute and then splash off with cold water! 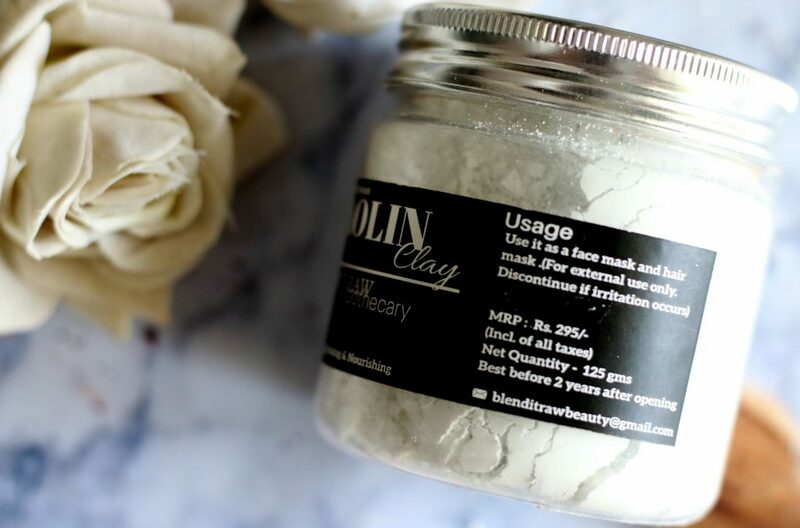 Result – Soft, supple & clear face! 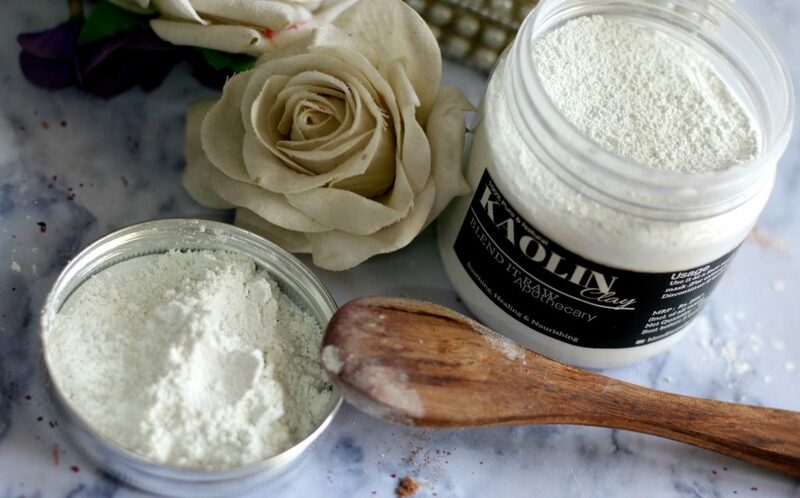 1) Mix 1 tsp of kaolin clay, 2 tsp of pure aloe vera gel and 2-3 drops of tea tree oil. 2)Using a face mask brush, apply it on your face avoiding eye area. 3)Leave the mask until dry and then rinse off with luke warm water. 4)Splash your face with cold water and pat dry. I never tried it as a hair mask. Would try it sometime and update this review. I feel, this works best as a facial cleanser/scrub. I like to apply this as a overall moisturiser after washing my face with DIY facial scrubs or masks etc. It really moisturises my skin well. You can apply it to your nails and hair too. 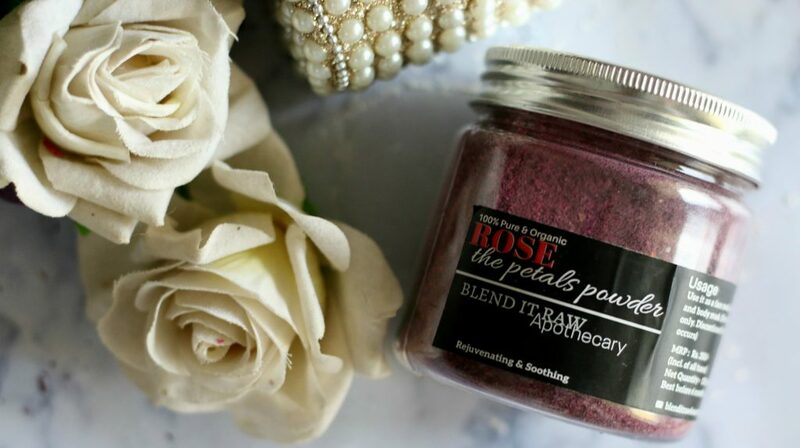 Rose petal Powder has many healing properties. 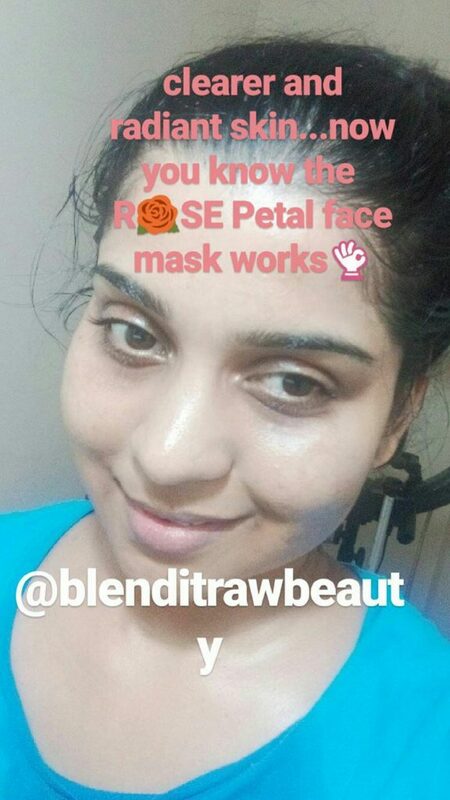 The rose Petals are rich in antioxidants, vitamin C, vitamin B and K. Regular use of rose face packs will give you fresh, radiant glow, and clear skin. 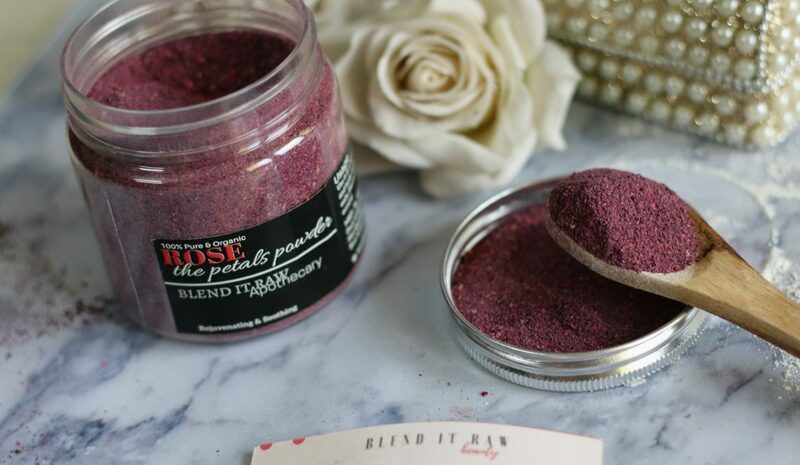 Mix Rose Petal Powder with Organic Honey to make a paste and apply it all over the face. Wash off with cold water when it’s dry. Gives gentle exfoliation, makes skin soft and clear with regular use. 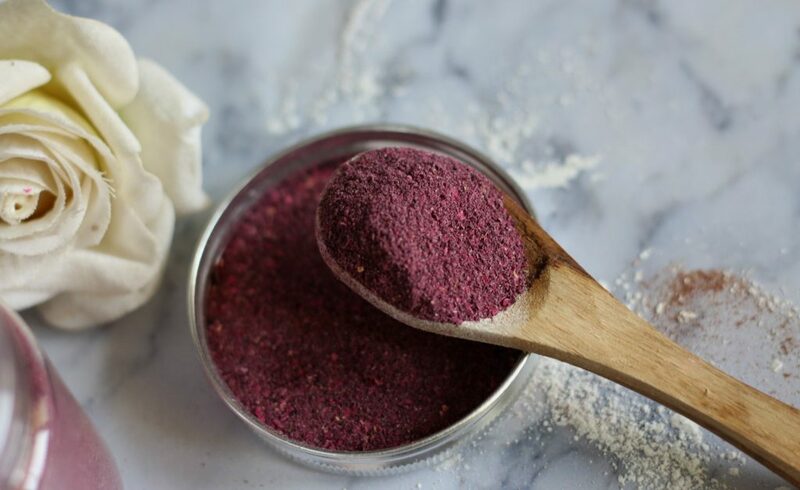 Second way of using them is Rose Petal Powder mixed with Orange Peel Powder. Mix with Water to make a paste and apply over over face and neck . Wash off after 5-7 minutes. 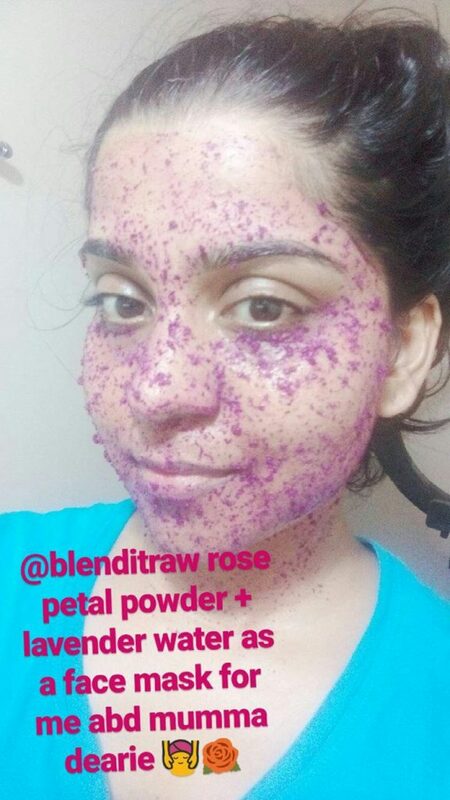 Mix Rose Petal Powder with milk and apply it all over the face and neck. 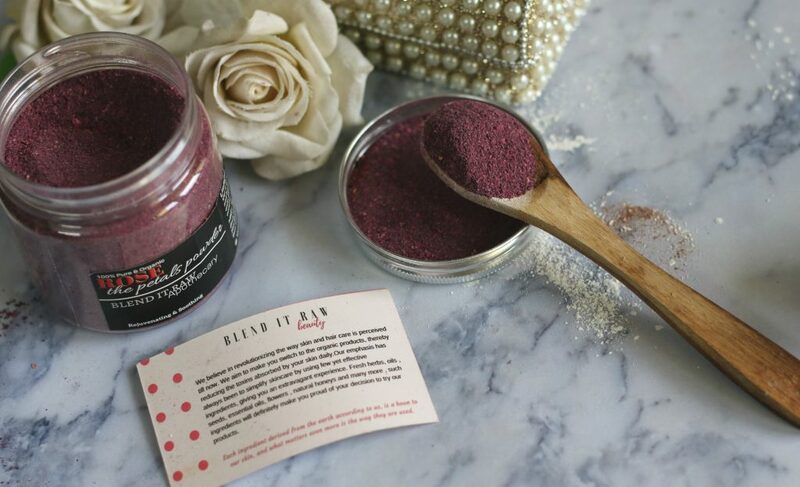 This is my favorite product from Blend it Raw Beauty. I like the gentle exfoliation it gives. lavender oil eliminate nervous tension, relieve pain, disinfect the scalp and skin etc. This can be used as a facial toner, a mixing water while making DIY face masks. To prevent scalp itching, Pillow mist etc. I love it. It gives a fresh feeling while spritzing it. Pop it to your handbag while you go out. 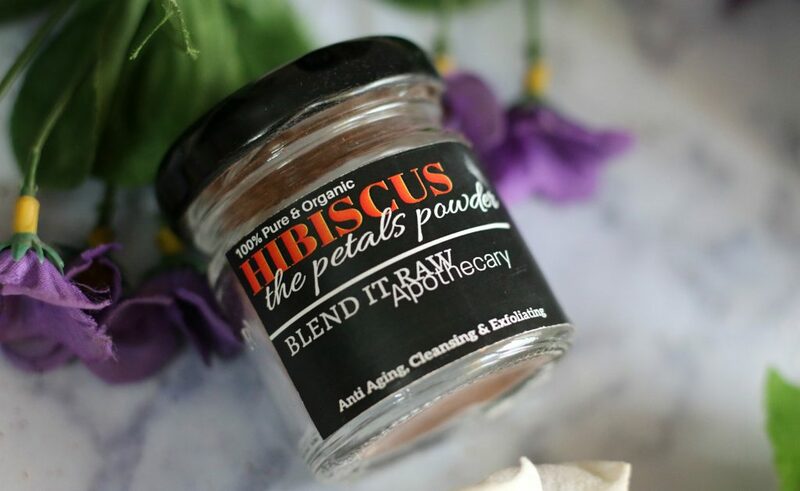 Hibiscus tones, hydrates, and firms the skin naturally. While there are plenty of methods to use it. I have 2 favorite ways of using it. Mix everything well with a wooden spoon. Apply on damp, makeup free skin and gently exfoliate the face and neck. Add your favorite essential oils. I used rose and lemongrass. It is the best Body scrub or wrap ever. 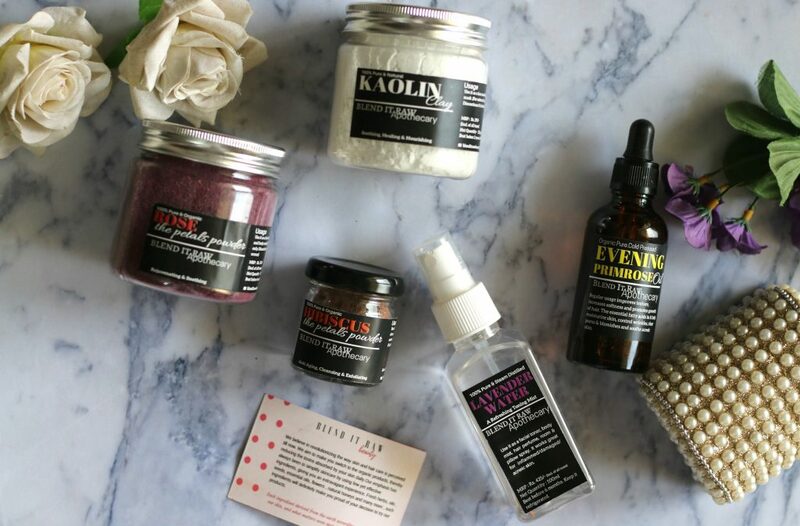 Overall, I love the idea of the DIY beauty box. These products allow me to mix and match and create my own versions of face and hair masks. I cannot think of any cons. However, do check whether the ingredients suit your skin. Even though they are organic and natural, Certain people are allergic to certain ingredients. 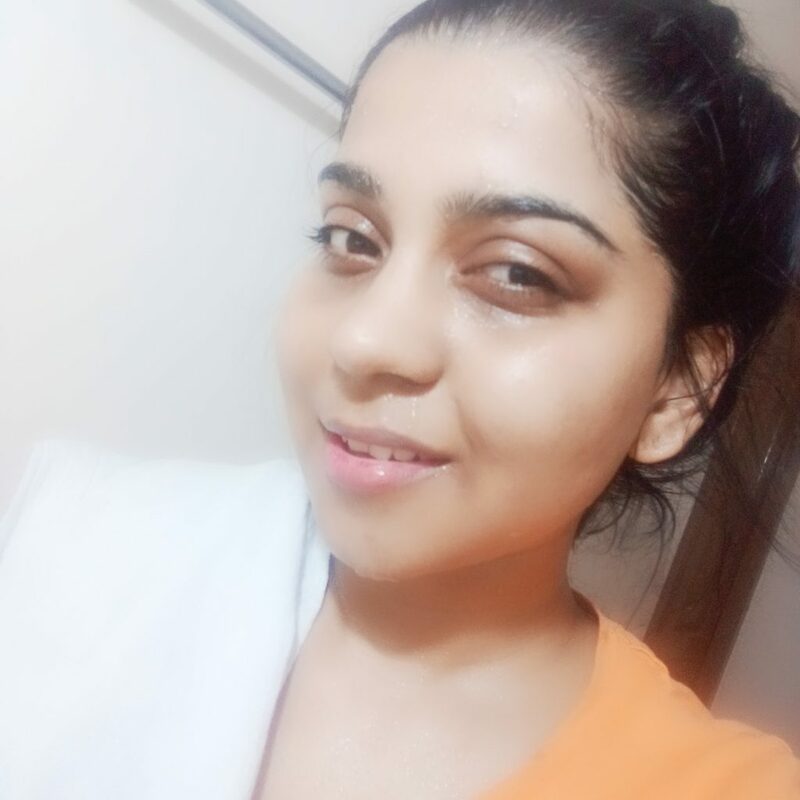 fresh face after waking up…. 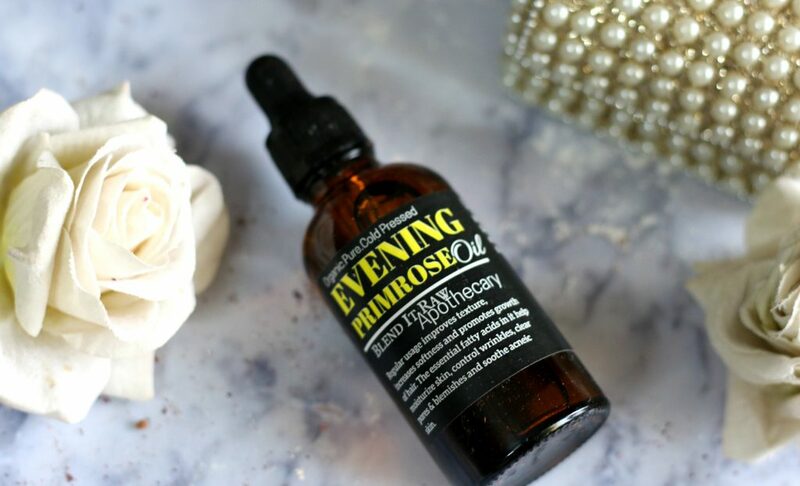 Evening primrose oil as a facial moisturiser really help soften the skin. Have you tried any products from this brand. If yes, which is your favorite product ? I love the concept of a DIY box. I tried their March Flowers & Herbs Edition and totally loved it. 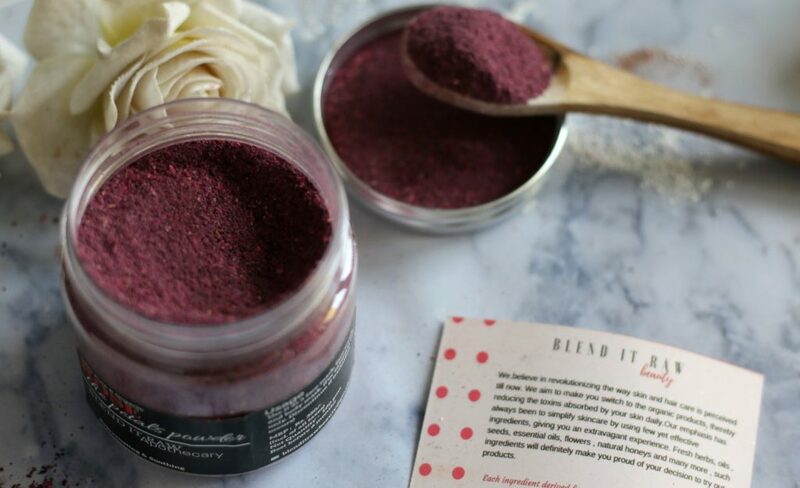 I’m definitely getting blend it raw’s products next month. 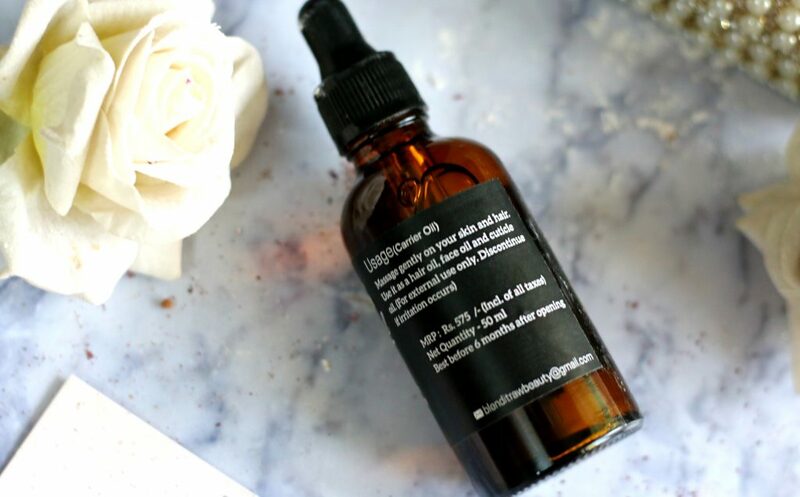 I love that it comes with everything necessary to make your DIY skin care product. Wow! This is such a great subscription.